In a quarterly earnings report by Activision Blizzard, the company reveals that Diablo III has become the most anticipated Blizzard game ever. Although no specific pre-order figures were given, better than expected Diablo III pre-sales are expected to lend themselves to a record setting Q2 for the game publisher. Diablo III is set to launch on May 15. First quarter earnings were better than expected, although revenue was down by 106 percent when compared to last year's numbers. Additionally, profit is down by 86 percent when you consider last year's net income for the company. Of course, wildly fluctuating figures are not unusual for game studios and publishers though since revenue tends to coincide with game releases. In the report, parent company Activision's sales were driven by strong sales of Call of Duty: Modern Warfare 3. 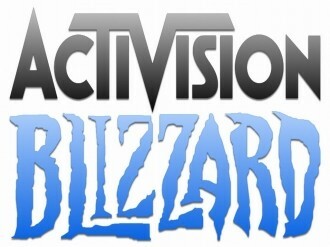 Activision boasted 40 million active, monthly users for the franchise with over 1.6 billion hours of gameplay logged in MW3 alone. Despite World of Warcraft's gruesome subscriber blood-letting from last year, it seems Blizzard has managed to cauterize the wound. WoW subscriptions remained flat at roughly 10 million subscribers -- a number that still makes World of Warcraft the single largest MMORPG out there. As a point of reference, BioWare's hotly anticipated Star Wars: The Old Republic hovers around 1.3 million subscribers. That's actually down from 1.7 million from February, but that's another issue for another article. Two games from Activision Blizzard also enjoyed the top-ten spot during Q1 2012 -- Modern Warfare 3 and StarCraft II: Wings of Liberty. The company is projecting sales figures as high as $4.53 billion for 2012.